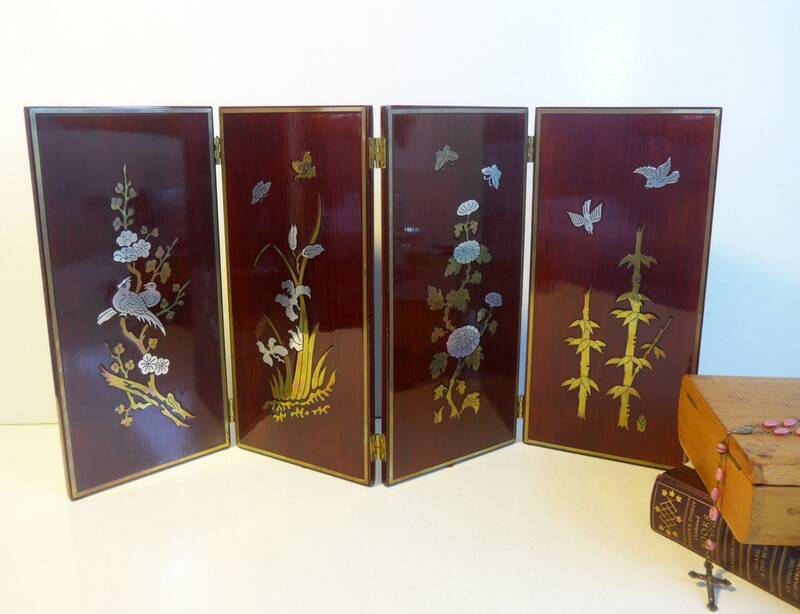 Beautiful 4 paneled hinged wooden table screen that features a dark red wood background with lots of grain and nature scenes inlaid with two-toned metalwork. 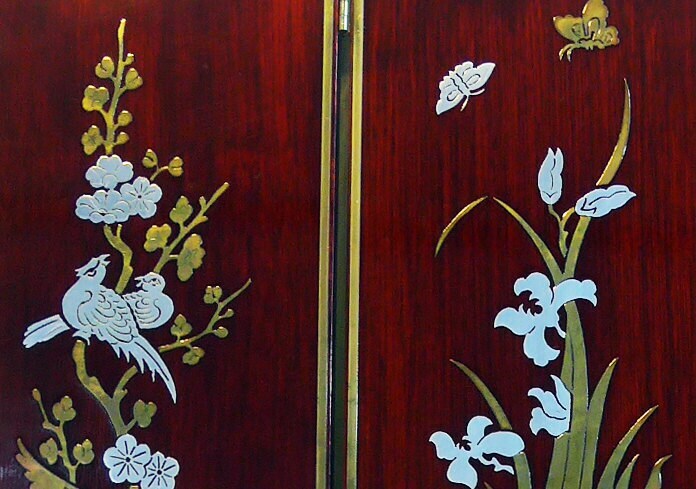 Inlaid into the 4 panels are nature scenes that feature, birds in flight, flowers, reeds, bamboo, butterflies and blooms. 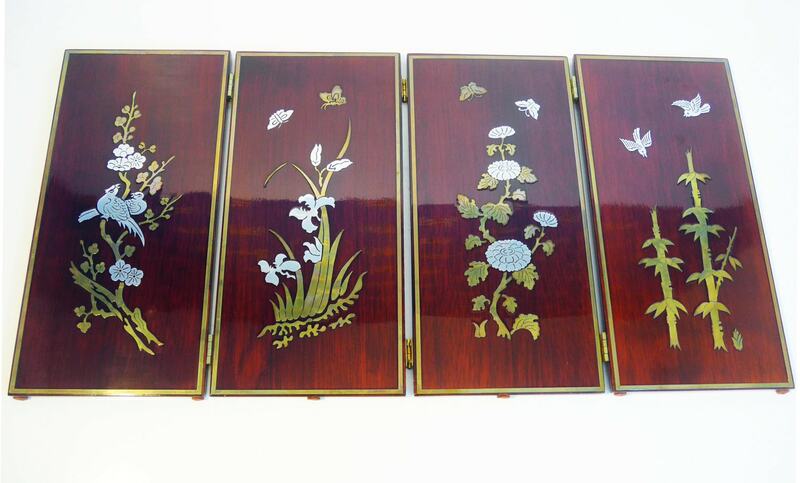 The metals used for the inlaid artwork are brass colored and silver colored. There is a brass colored border around each panel. 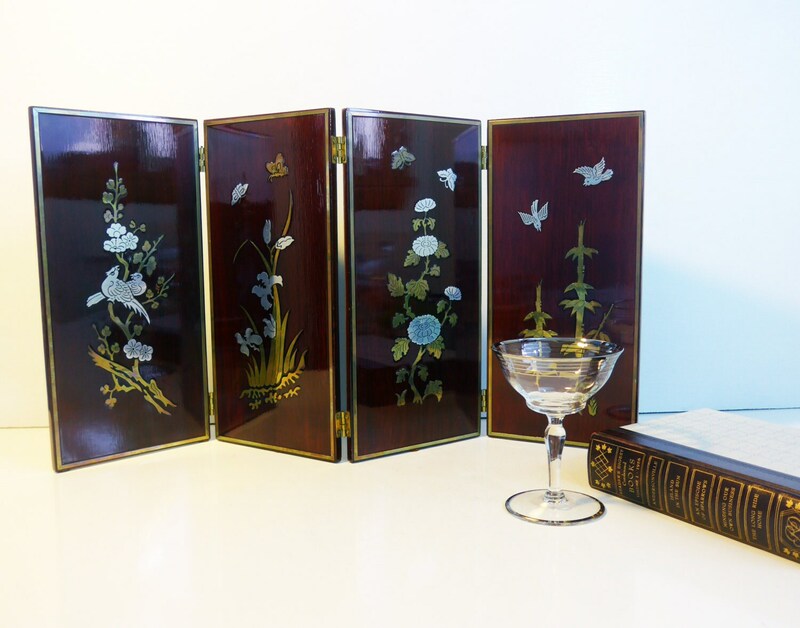 There are three sets of brass hinges - all in good working condition. There are 6 small felt pads on the bottom to protect any surface this screen is placed upon. Measures 12" high. 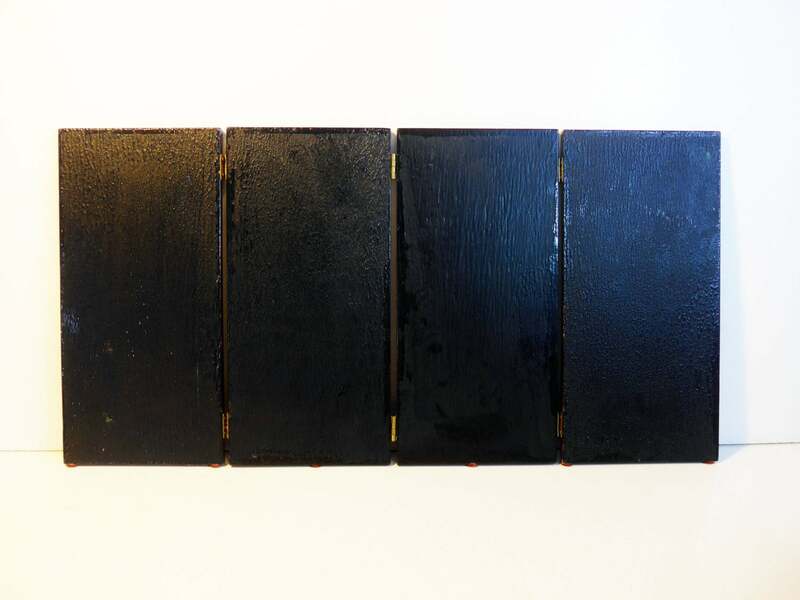 Each panel is about 6" wide and 1/3" thick. In nice vintage condition with no chips or cracks. Wood still quite beautiful and has a nice shiny finish.